Following a request here I have modified my cubic spline functions to accept input arranged in rows as well as columns. By default the output arrays will have the same orientation as the range of interpolation X values, but I have also added an optional TransposeH input which if set to “False” will return the output arrays in columns, even if the interpolation X values are in a row. For more details of the background to the functions, and how to use them see: Daily Download 22: Splines and Curves. This entry was posted in Excel, Maths, Newton, UDFs, VBA and tagged Cubic splines, Excel, UDF, VBA. Bookmark the permalink. 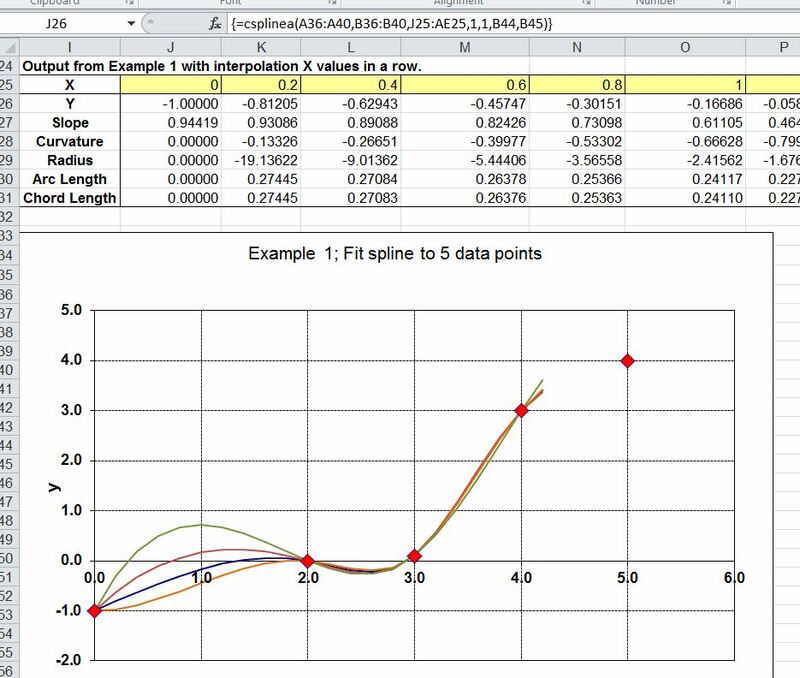 Great extension of the cspline functionality to include given data in rows and to optionally calculate interpoints into rows or columns. thank you so much!